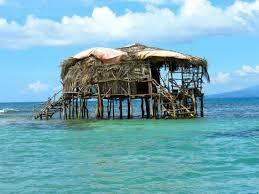 From Negril to Pelican Bar round trip day tour US $140. Each extra persons US $15/each. Drive time, one way 1 hr 30 mins. The canoe boat ride cost to the bar is $15 to $20.us each. This private day tour allow you to stop for fruits, lunch, beers , pictures etc along the way.